(Book review) Improving diet may be one of the most important steps a Lyme patient can take on the road back to health. Changing the way you eat can be difficult enough for people who are generally healthy. Trying to transform dietary habits when you’re chronically ill might seem insurmountable. Yet, according to Lyme-literate naturopath Dr. Nicola McFadzean, improving diet may be one of the most important steps a Lyme patient can take on the road back to health. The Lyme diet she recommends is first and foremost anti-inflammatory. According to McFadzean, the chronic inflammation associated with Lyme disease contributes to joint pain, swelling, fatigue, brain fog and headaches, and inhibits healthy cell function. She advises against highly pro-inflammatory foods like gluten and dairy, and in favor of “good fats” like fish and flax oil for their anti-inflammatory properties. The Lyme diet supports the immune system. This generally means eating fruits, vegetables, and high quality proteins to give you the raw materials your body needs. It means avoiding sugar, which suppresses the immune system, and other substances your body may react to. 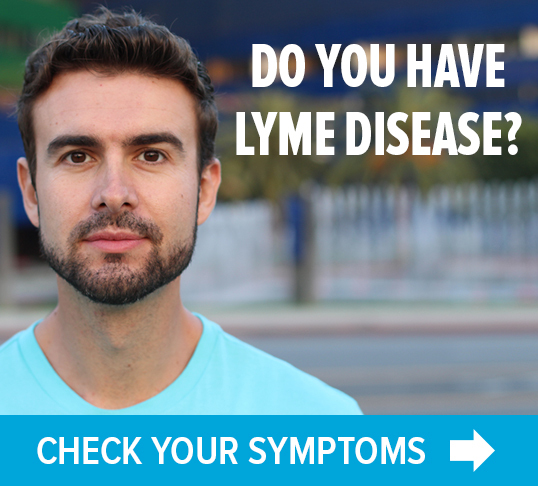 The Lyme diet promotes healthy digestive function. McFadzean says 70% of the immune system resides in the gut. So it’s important to maintain a healthy balance of gut flora and avoid “leaky gut” syndrome, which can cause so many problems for Lyme patients. She discusses how different foods affect the thyroid and adrenal systems, and which foods can help your body detoxify. In the “Putting it all Together” section of the book, she shows you how to implement the Lyme diet in everyday life. Menu suggestions, recipes, natural substitutes for sugar, and how to deal with food cravings are among topics covered. In “Tools and Resources,” she discusses related laboratory tests, practical home treatments, nutritional supplements and a number of alternative therapies. The Lyme Diet gives patients a road map for eliminating detrimental foods and emphasizing helpful ones. 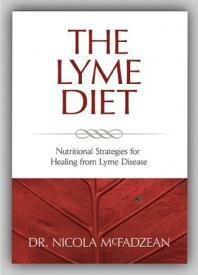 It’s an important compendium of nutritional information for anyone dealing with the challenge of Lyme disease. Highly recommended. 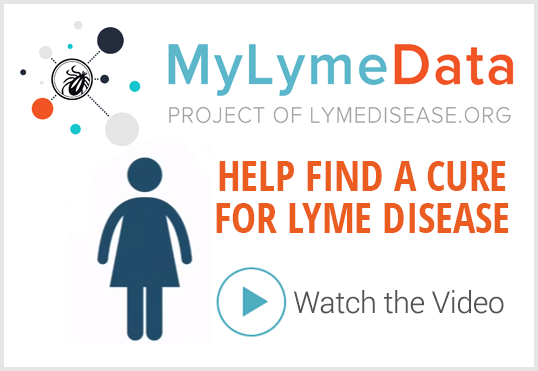 Contact blogger Dorothy Kupcha Leland at dleland@lymedisease.org. This book is very helpful. I've tested the guidlines/rules. Whenever I go off the Lyme diet and eat something I shouldn't, I have a set-back and feel sick for a day~untill I get back on the Lyme diet. I also do the dry brushing before soaking in Emsom Salt & Baking Soda hot bath every night. I can feel the difference in my legs & back almost immediately. Nicola really knows what she writes. I am grateful for the book. I take it with me every time I go to the store to ensure I getting the proper food; i.e., more alkaline than acidic food, gluten free, dairy free, sugar free. Nicola's suggestions for treats are scrumptous. I'm going to have to buy this book! That sounds great, Kathy. Thanks for backing this info up. I have setback problems on occasion as well, and I need to have more self-discipline. Looking forward to reading this book! Is there any knowledge of Lyme having a inflammatory affect on the eye’s ??? I do like a lot of the recommendations in this book. However, I don’t like to put fear into people about sugar. And actually, avoiding sugar did a lot more damage than good in my case. Perhaps it was helpful to reduce my carbohydrate intake at one point while I was heavy into my antimicrobial protocol, but low carb Lyme dieting kept my thyroid hypo, and it wasn’t until I added honey (and progressively lots more carbs) that I got over my plateau and could exercise and feel strong. Carbs can be an easily digestible source of fuel. Fuel is energy. Energy is everything for your immune system.